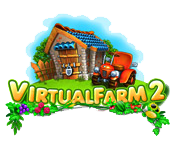 Harvest the fruits of your labor for profit in Virtual Farm 2, a wonderful challenge to become the top farmer in town. Mortimer Monroe hasn't had a decent pineapple ice cream in quite some time but he's hoping that you are just the right farmer for the job. In fact, he is so sure of your skills that, as an astronomer and agronomer, he is willing to lend his services to you and provide the technology you need to make it so. Are you up to the challenge? Here's your chance to find out as you raise bumper crops to produce the delicious products that people want. Dig up soil, plant seeds, and harvest the produce to sell it at the market. With your earnings and extra produce, you can then process those goods into cheese, ice cream, cakes and more! Plant eight types of crops, build 10 types of factories, and produce 10 fantastic products. Watch your farm grow beyond belief. 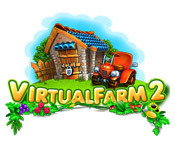 Free version or download the full version of Virtual Farm 2 play now!